Pylona (Pilona) The village of Pylona (Pilona) is situated 5 kilometres from the village of Kalathos and 46 kilometers southeast of the city of Rhodes. The name Pylóna comes from the name "pyli" which means "portal", as it used to be the portal of the south of Rhodes. 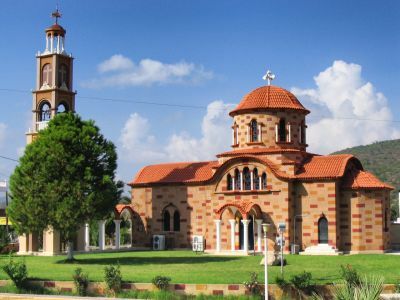 The village Archangelos (Arhangelos) is regarded very faithful to traditions. 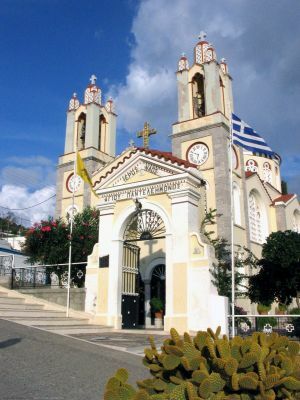 The centre of the village is dominated by the church of the Archangel Michael, with its fine campanile dating from 1845. 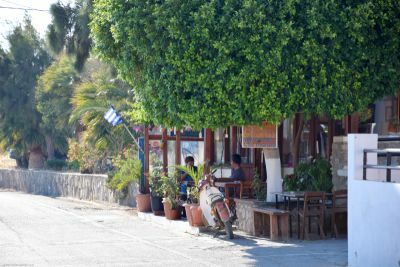 The first impression of Archangelos is unlikely to be very positive, as it gives you the feeling of any Greek provincial town - a bunch of concrete with noisy cafés and nowhere to park. 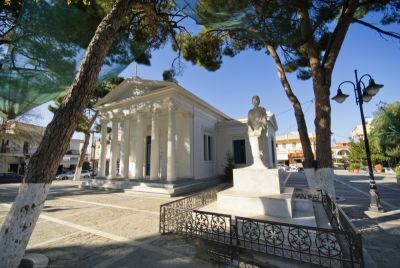 However, Archangelos is regarded as one of the most faithful to the village traditions. Once you leave your car and make your way into the narrow side streets, you will understand why: bread is still baked in the old wood-fired ovens, skills and crafts of their grandfathers are kept alive, they marry in traditional ceremonies and still speak in their own distinctive idiom. Archangelos has some 6,000 inhabitants. The church of the Archangel Michael dominates the center of the village, with its fine belfry dating from 1845. 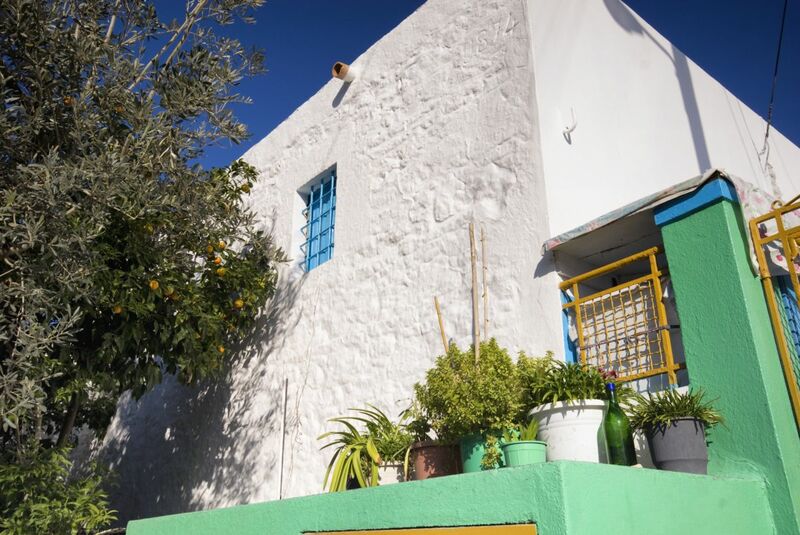 Thanks to the traditional houses painted in vivid colors and their arches and walls decorated with ceramic plates from Lindos, the narrow streets around the church retain a distinctive atmosphere. On the slopes of the nearby Mt. Strongylos there still live some of the small, black, wild horses of the region, which the local people used in past times for threshing the grain. On high ground about three kilometres from the village, on the road to the beach at Stegná, lies the cave of Koumellos, famous for its extraordinary stalactites. Many local people claim that the cave communicates with the sea. The cave is definitely worth a visit; you can get the key from the Town Hall. Two plane trees, four water troughs, six tables... and undisturbed peace and quiet. 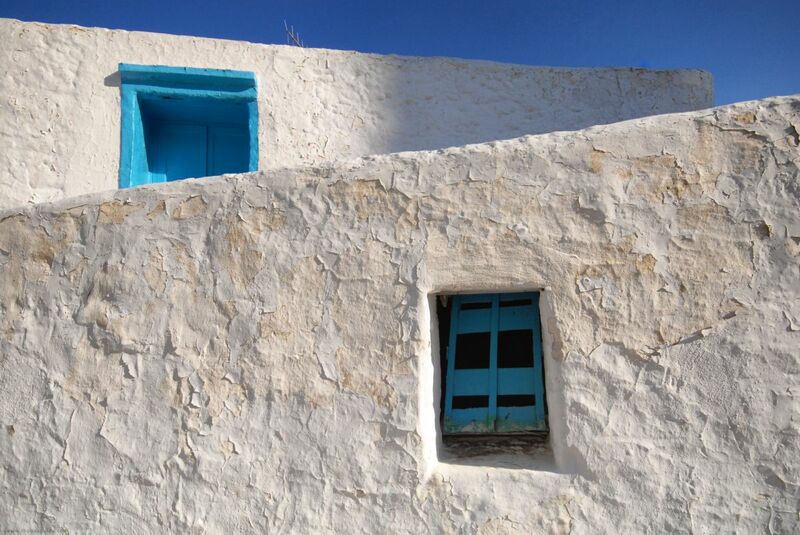 Around you are the low white houses of the village with their blue doors and windows, their tile roofs and carved stone gateways. The village of Siana is built amphitheatrically on the slopes of Mount Akramitis, south of the City of Rhodes and north-east of the village of Monolithos. Kremasti lies on the west coast. Its a busy village with rooms, apartments and a few package hotels.